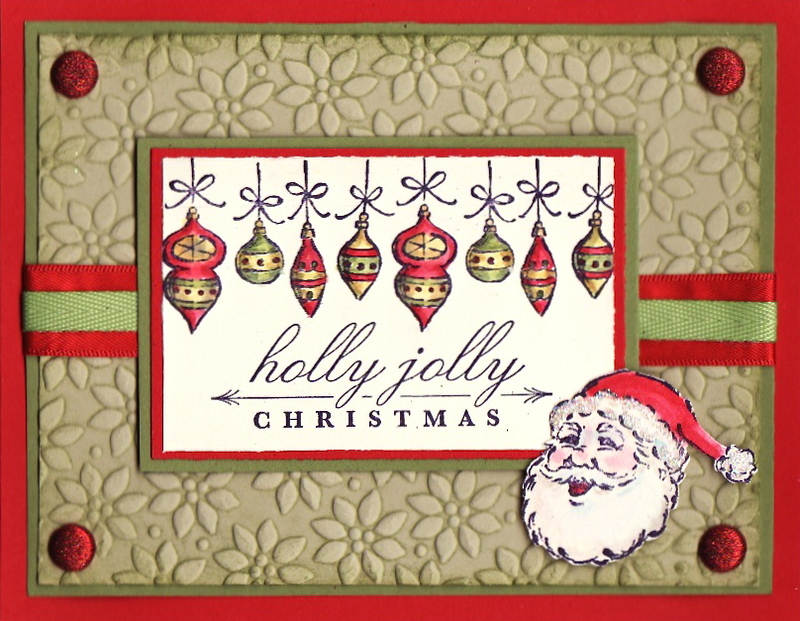 I did this card for the newest SCS color challenge, CC299 -- Red Old Rock. I have to say that I would've never, ever put together Real Red, Old Olive and River Rock, but I love it now! That's the great thing about the color challenges -- they force me to think out of the box. 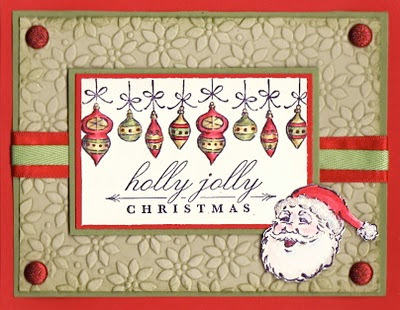 I love the ornaments on this card -- they remind me of those retro Christopher Radko Shiney Brite ornaments. I've got old Shiney Brite ornaments from both of my grandmothers. I love adding the new ones to my collection! The River Rock layer was color embossed by running it through the Petals-a-Plenty folder, inked with Old Olive.